Living with asthma can be challenging, but if you pay attention to the details of successful asthma management, you or your child can lead an active, healthy life. It's all about what you need to know and do to get better control of your asthma. Many patients assume this to be a daunting task. But making some changes and making them part of your daily life is an effective way to learn better asthma management. For example, if you do not regularly monitor your asthma then simply checking and recording peak flows once per day could make a big difference in your asthma control. 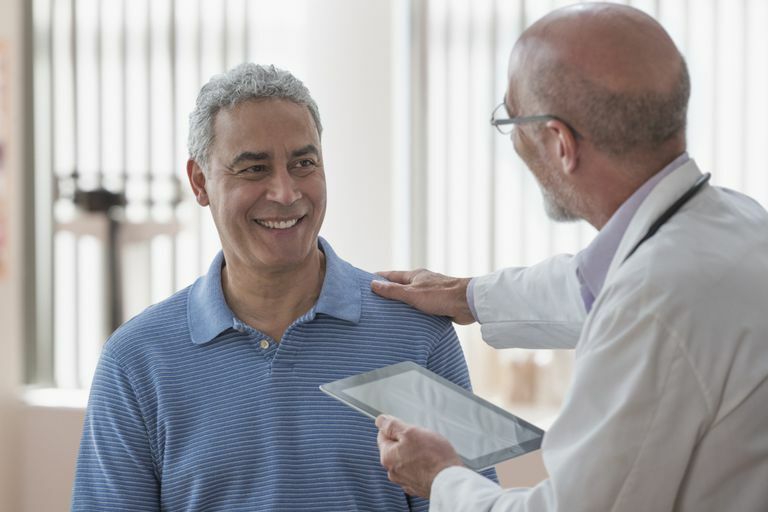 Be sure to take the time to talk with your doctor about your asthma management plan or action plan, which should also include regular medical follow-ups. When things aren't working for you, take a proactive role in your healthcare. There is an old truth, "Knowledge is power," that should guide your day-to-day efforts of living with asthma. The more you know about asthma, what causes your symptoms, and how to prevent them, the better you'll able to take care of yourself. And the healthier you will be overall. However, you not only need to be knowledgeable (think of all the asthmatics that know smoking is bad for their health but continue to smoke), you need to put your knowledge into action. How to use your medicine correctly. First, find out all you can about your asthma medicine, including how and when to take it, potential side effects, and how it controls your asthma. If you use a metered dose inhaler, learn how to use it correctly. What your triggers are and how to avoid them. It's essential to know what brings on—or triggers—your asthma symptoms. Triggers differ for each person, so it might take a while to figure out what all of yours. Keeping an asthma diary can help. Once you know your triggers are, you can strive to avoid or at least limit your contact with them. Remember, it is still possible to be active and stay healthy, even when you're living with asthma. Asthma treatment has come so far in the last couple of decades that people who have asthma today can do just about anything that people without asthma can do, including competitive sports. In fact, many medal-winning Olympic athletes have asthma. The key to living with asthma successfully is to keep it under control. Limit contact with asthma triggers by controlling your environment, monitoring your condition with a peak flow meter, and following your treatment plan strictly. Changing in your environment to eliminate your asthma triggers can be hard, but your efforts will be worth it. You should start to feel much better when you can keep your home as trigger-free as possible. Additionally, asthma and stress can coexist. While there is still some debate about the exact impact on asthma, learning how to deal with stress is a positive for your life in general-asthma or not. Whether it is breathing exercises, meditation or some other treatment stress control could lead to better asthma control. It is important to realize that even people who take their asthma medicine exactly as prescribed and who work to avoid triggers can have the occasional asthma attack. So, it's essential to have what is called an "asthma action plan" in place for those times. Identify the signs that your asthma is starting to slip out of control. These signs include both symptoms and your peak flow meter readings. Know exactly what action to take, based on how you are feeling, your peak flow rate and what stage you are in. Act quickly on danger signs to prevent or stop an asthma attack. How and when to take your medications correctly. When to call your doctor or go to the emergency room. The important thing to realize is that you can still have a healthy, active life when living with asthma, although you may have to pace yourself at times or make some adjustments here or there, such as avoiding outdoor sports in the early morning, when pollen counts are at their highest (assuming pollen is one of your triggers). Living with asthma can be even more challenging for children especially young ones because it is harder for them to understand what is going on. Your job as a parent is to help your child be as active and healthy as possible, despite having asthma. Keep your doctor's appointments for your child. You may even want to consider seeing an allergist, pulmonologist, or other asthma specialist. Work with your child's doctor on an asthma action plan and make sure you know how to follow it. Talk to your child about asthma and how to control it. Protect your child from secondhand smoke in your home and in public places. Take action to prevent your child from coming into contact with common asthma triggers, such as pollen, dust mites, cockroaches, or pet dander. Give your child his or her asthma medicine as prescribed, and when your child is old enough, teach him or her how to take medicine independently. Use a peak flow meter with your child to help monitor and control asthma. Your child can be active. So, make sure he or she participates in everyday kid activities and play. Team up with your child's other caregivers, teachers, or coaches to help manage his / her asthma. And make sure they have copies of your child's asthma action plan. Dealing with any health issue, including asthma, may be stressful at times. And, unfortunately, stress can be a trigger for asthma attacks. So, it's important to learn how to cope with the challenges and frustrations of living with asthma in as positive a way as possible. You might also draw inspiration from knowing that many famous people have learned how to live with asthma and still thrive in their lives. There is no reason why you cannot live just as successfully with asthma. Talking with other people who are also living with asthma can be helpful too. You can probably find a local asthma support group if you live in a populated area, but thanks to the Internet, many online options available today as well. NIH, (2007). Living with asthma.